Samsung just got done showing off its first foldable phone, and Huawei is looking to take some wind out of its sails. 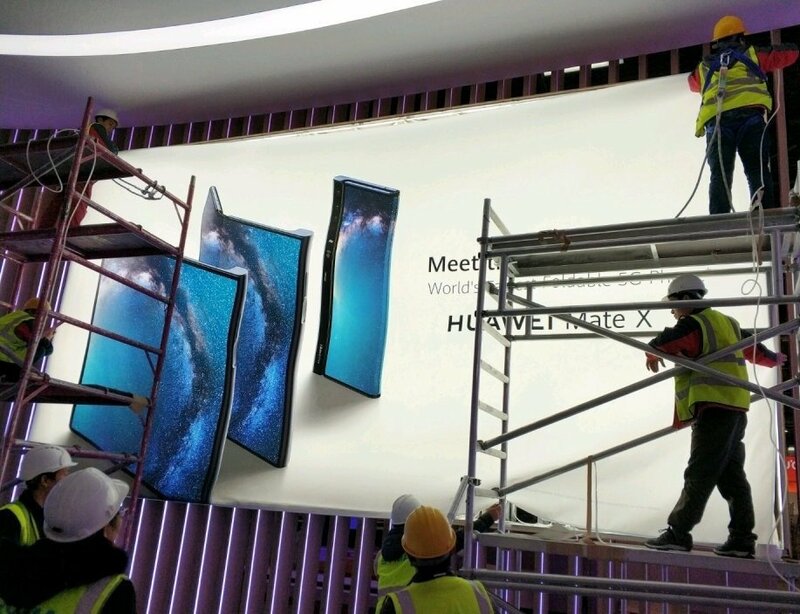 A banner going up ahead of Huawei's Mobile World Congress event appears to show off the company's first foldable phone, which it calls the Mate X. Unlike the Samsung Galaxy Fold, the Mate X is a single-screen folder. That means you've got one large display that folds over to fit in one hand. Remember the terrible FlexPai? It's sort of like that but not ugly. This is one of the two setups Google plans to support in Android. The Mate X, which will support 5G, has a thicker section to one side that sits flush with the display when folded. This chunk of bezel also looks like it has some cameras. This "outward" folding approach looks nicer than Samsung's inward fold, but it might not be as practical. Folding screens will have a plastic cover, and the Mate X is going to be unprotected when you set the phone down. The Galaxy Fold keeps the foldable display protected when it's in phone mode. Huawei will have an event on Sunday morning (US time), so keep an eye out for details. Hopefully it's not $2,000 like Samsung's phone.